elderly women strikes up a curious friendship with a young writer. Teeth is about two old friends, their teeth and a series of events that leaves them lost for words. * As seen in the Official Best of Fest LAUGH Collection. A moving tale about an imaginary friend. * As seen in the Official Best of Fest KIDS Collection. Binta is a little girl from Senegal who tells us about her village and her father’s great idea to make the world a better place. 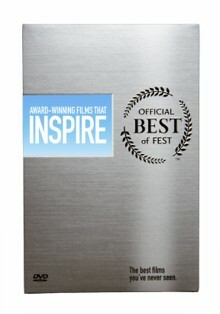 * As seen in the Official Best of Fest INSPIRE Collection. Inspired by a musician, inmates at Oregon State Penitentiary pursue a dream of building a school in Vietnam, 7,500 miles away. All but abandoned by her family in a London retirement hotel, an elderly woman (Joan Plowright) strikes up a curious friendship with a young writer.